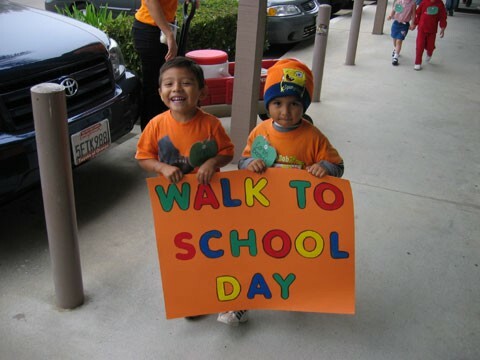 Where the Sidewalk Starts: Happy Walk to School Day! 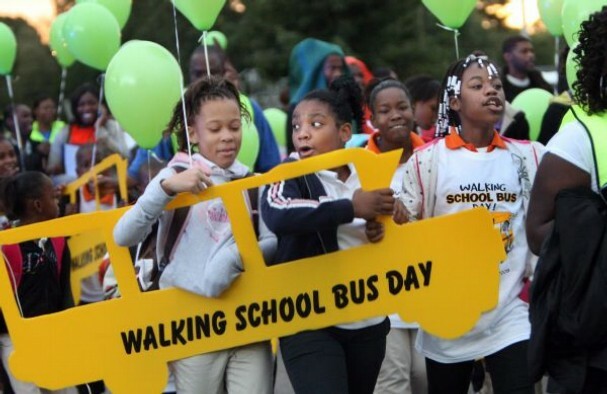 Every October for the past 15 years, kids around the world ditched their (parents') cars and jumped on the walking school bus to celebrate International Walk to School Day. Last year there were over 4,000 registered schools participating, and this year over 400 schools in California have events planned. Rates of children walking or biking to school have decreased steadily over the past four decades, from nearly 50 percent in 1969 to a paltry 13 percent in 2009. Not surprisingly, parents cite concerns over safety as the key reason they don't allow their kids to walk to school, which is why programs like Safe Routes to School are so important. Get the full list of schools and info about how you can join in here.